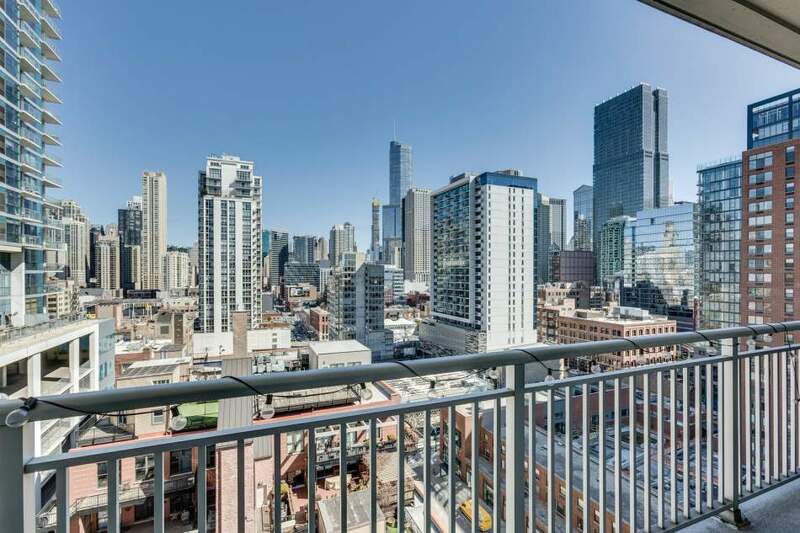 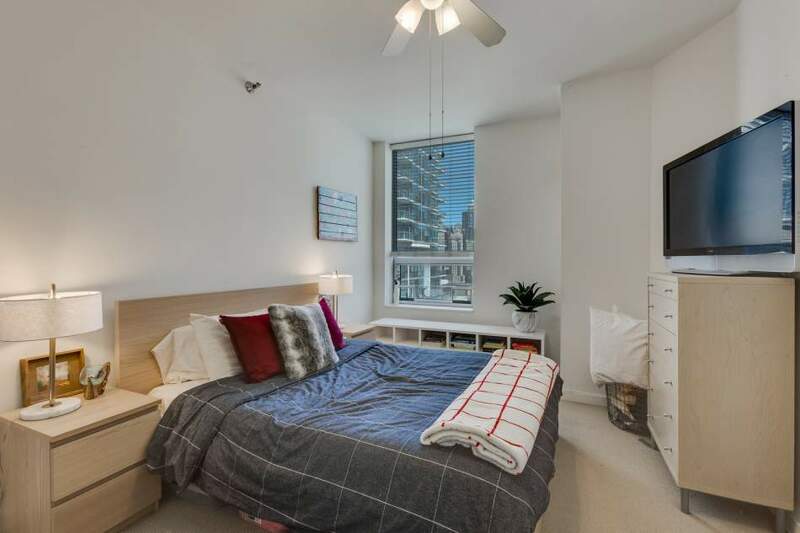 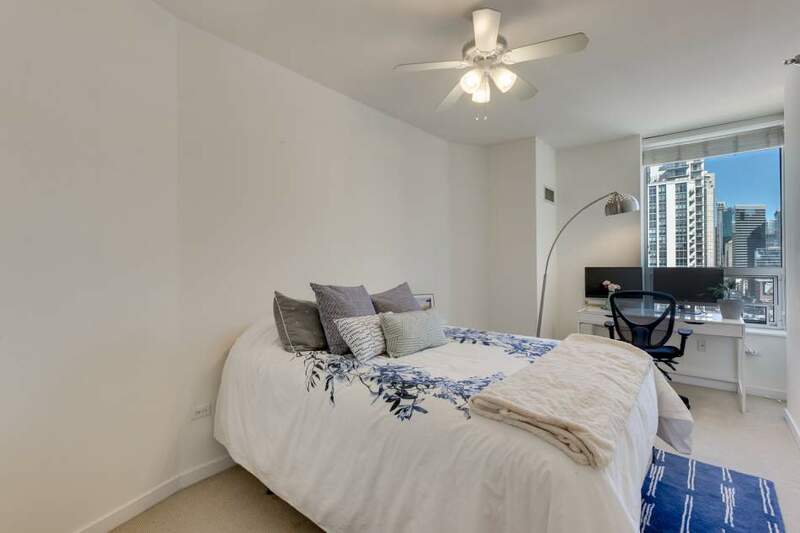 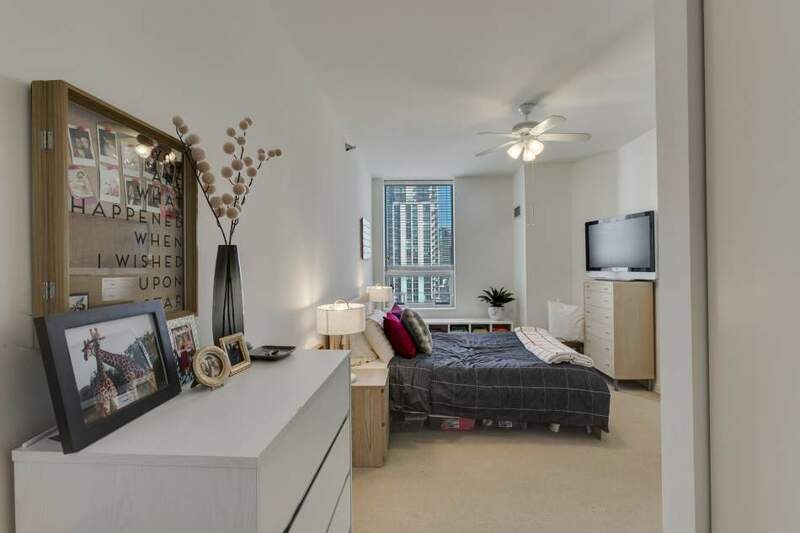 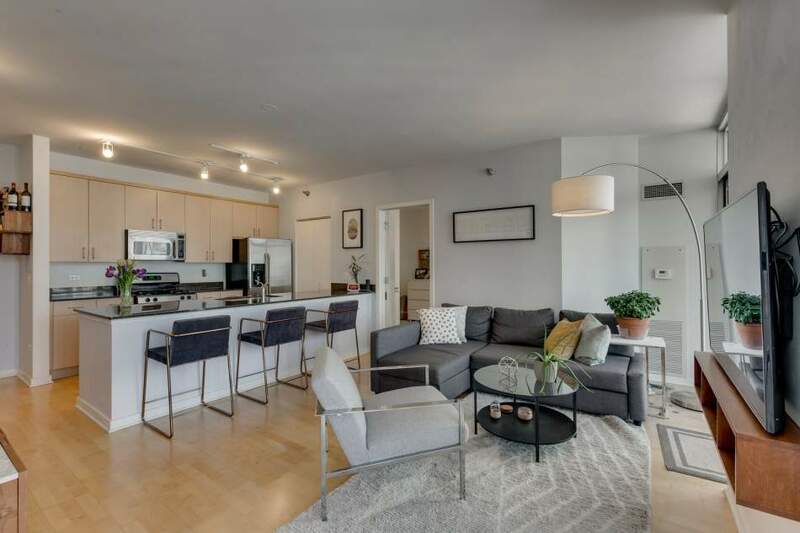 Bright, beautiful luxury high rise unit at Grand & Orleans in River North! 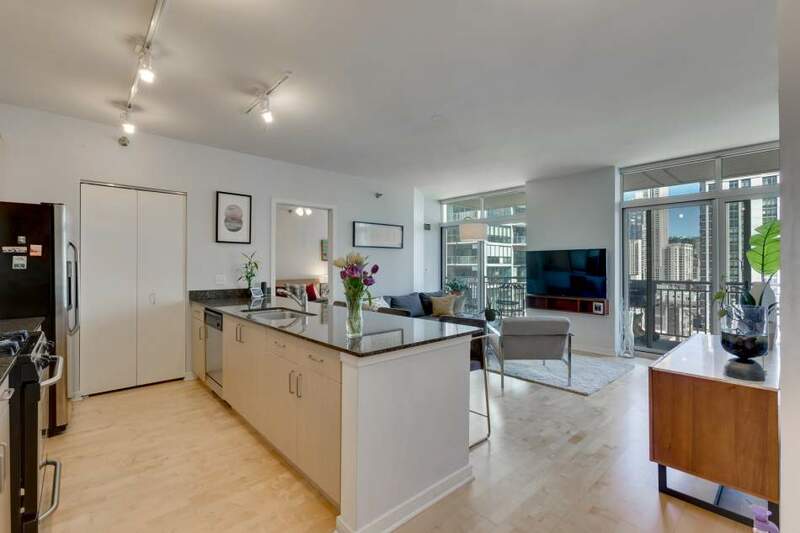 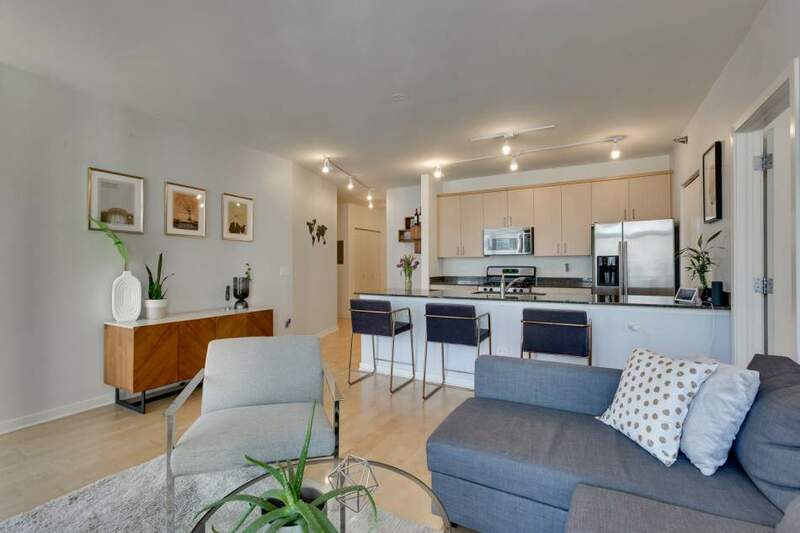 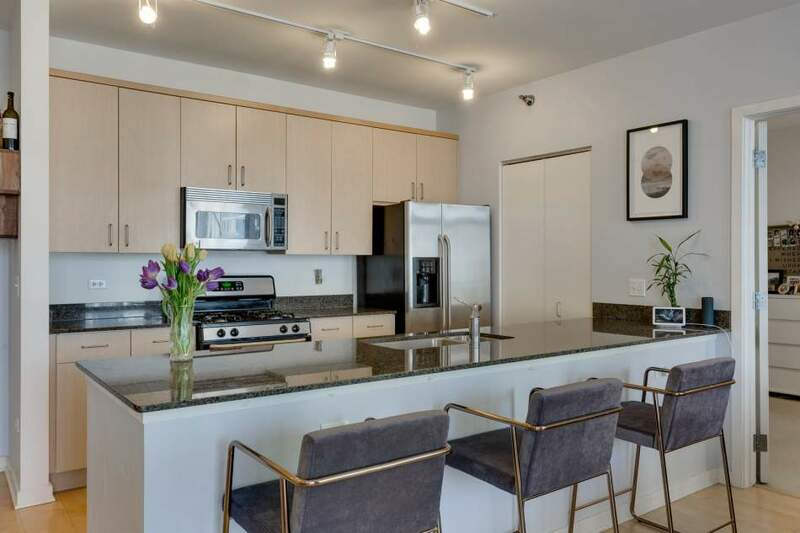 This amazing 2BD, 2BA split floor plan showcases open kitchen with granite counters, breakfast bar, hardwood floors, & spectacular views from huge windows & balcony off living area. 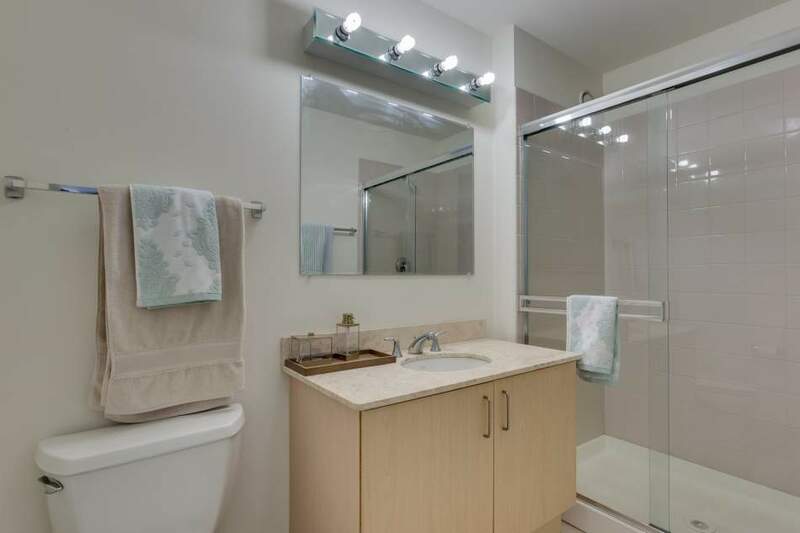 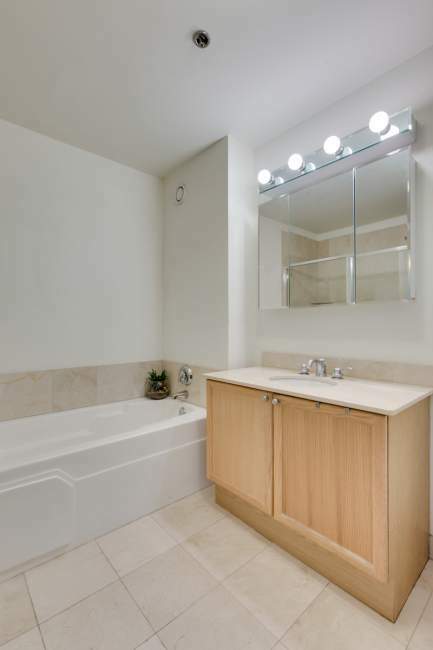 Spacious master bedroom features walk-in closet, soaking tub and separate shower. 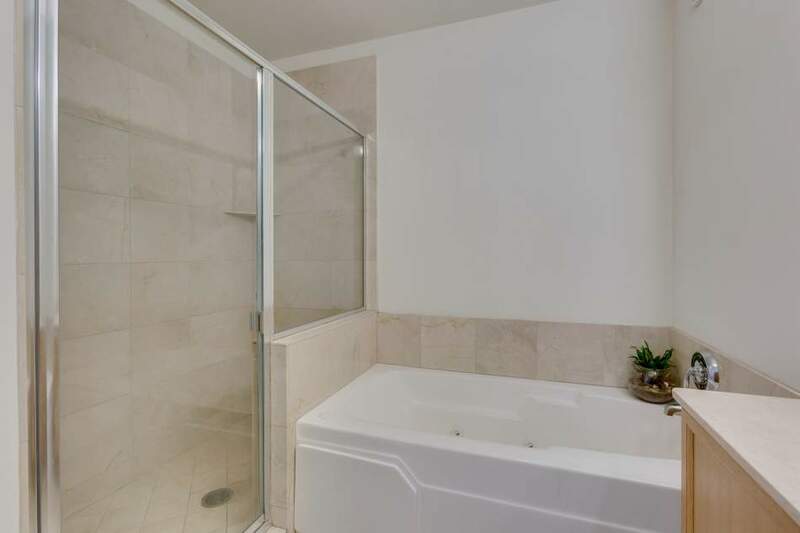 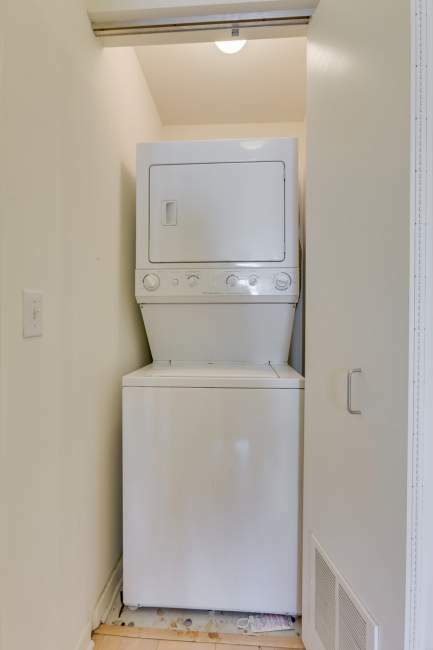 Located in a full amenity building with 24-hour door person, fitness room, business center and cleaners. 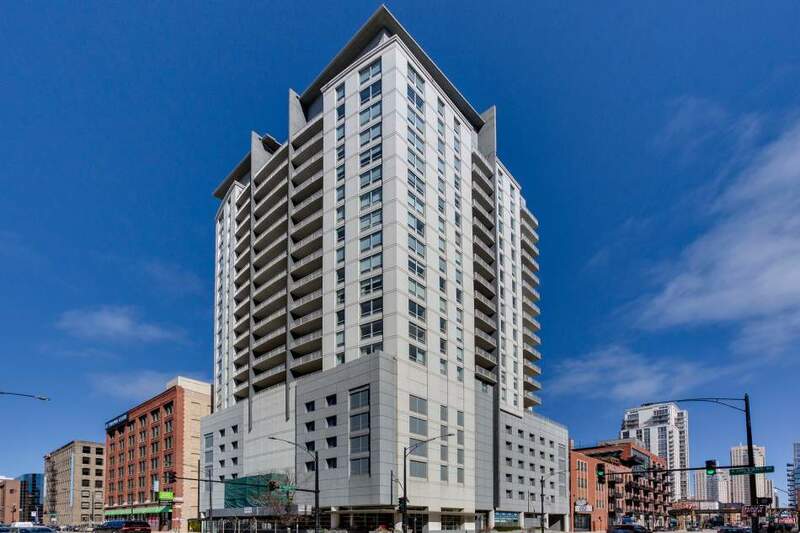 Ideally located near East Bank Club, restaurants, shopping & highway. 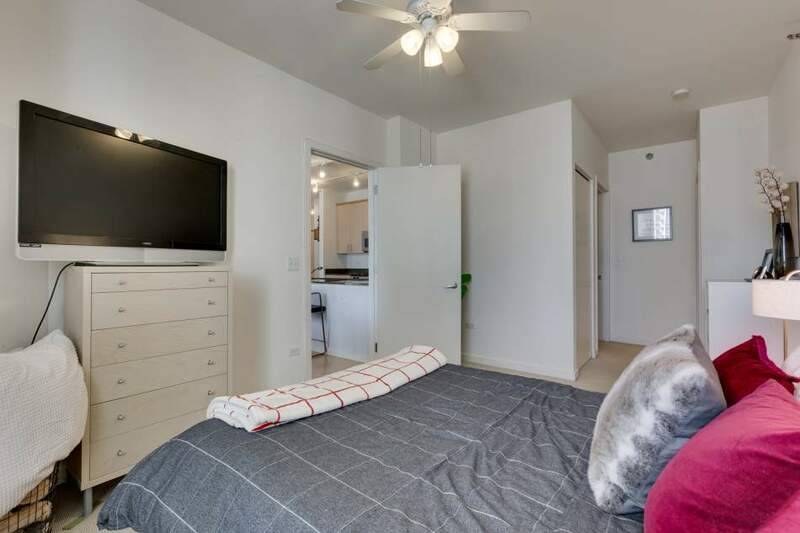 Pet rental is additional $100 per month.